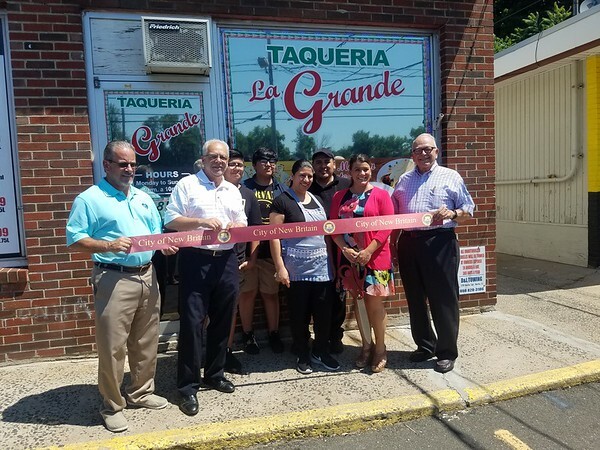 NEW BRITAIN - After its grand opening in May, Mayor Erin Stewart and other city officials joined Taqueria La Grande’s owners Antonia Trejo and Oscar Ponce on Tuesday for a ribbon cutting at the Mexican restaurant. Tim Stewart, president of the New Britain Chamber of Commerce, said he expects the business to do really well. One of the challenges for Taqueria La Grande’s owners is space, since the restaurant does not have a large seating area. However, Economic Development Director Bill Carroll said, the popular saying “Good things come in small packages” applies to the new business, because even though it occupies a small space, the quality of the food is good. “People are always looking for authentic food,” Carroll added. The way the city has received the business has been surprising, Ponce said, saying customers have kept the restaurant busy. Ponce told The Herald that most of the diners during the week are workers at nearby businesses who stop in for lunch. But weekends are a different story, as the restaurant is visited by families from New Britain, Bristol and Plainville, Ponce said. 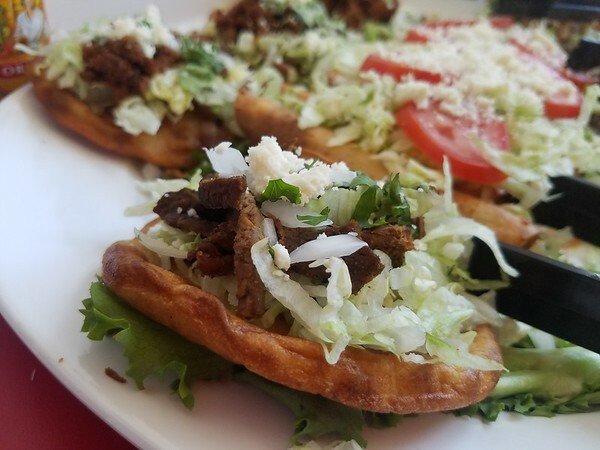 Taqueria La Grande’s most popular dish is tacos. The owners have added weekly specials to the menu. Some of those specials are fish tacos, tongue and pork rinds in red salsa. Ponce invites to customers to try everything his restaurant has. He said the items on the Taqueria La Grande menu are favorites of Mexicans. Customers always leave Taqueria La Grande happy and satisfied, Ponce said. Kris Ponce, Trejo and Ponce’s older son, said he is proud of his parents for having opened a restaurant. He said his mother had wanted to do that for a while, as she has worked in the restaurant business for a long time. Taqueria La Grande opened on May 5 - Cinco de Mayo - and it is located at 985 W. Main St. It is open seven days a week from 9 a.m. to 10 p.m.
Posted in New Britain Herald, , Business, New Britain on Tuesday, 10 July 2018 20:24. Updated: Tuesday, 10 July 2018 20:26.